Pregnancy is a key time to add proper supplementation to your routine. Growing new humans takes key ingredients and both baby and mama need to be supported during this demanding time. PreNatal Power combined with omega fatty acids (fish oil) and vitamin D are a powerful triad to give mothers-to-be what they need for a healthy pregnancy, baby and beyond. 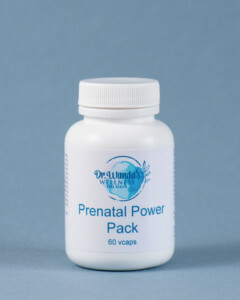 Read more important information about Dr. Wanda’s PreNatal Power by clicking here!